The best way to learn something is by watching it and understanding how that thing exactly works. Before installing any new software on your computer, if you want to find out how that particular software works then you need to watch a tutorial video so that you can learn how that particular software works. Specially, if you are a blogger or teacher and want to teach your blog readers or student about any specific thing then sharing step by step video tutorials is the most valuable option for you. To record the tutorials, you can use a powerful and best free screen recording software for Windows PC. There are a lot of screen recording software’s available on the Internet which you can use for recording whatever is happening on your computer screen. There are both free and premium screen recording software for Windows, but you will get most of the usable features in the free screen recording software. So, let’s have a look at the list of top 8 best screen recording software for Windows computer. Capturing videos from computer screen using screen recorder software is really a very simple task, but if you are not using a reliable and best free computer screen recording software then you might face some unusual difficulty like: recorded video has no sound (audio), recorded video seems very dusky, and much more issues too. 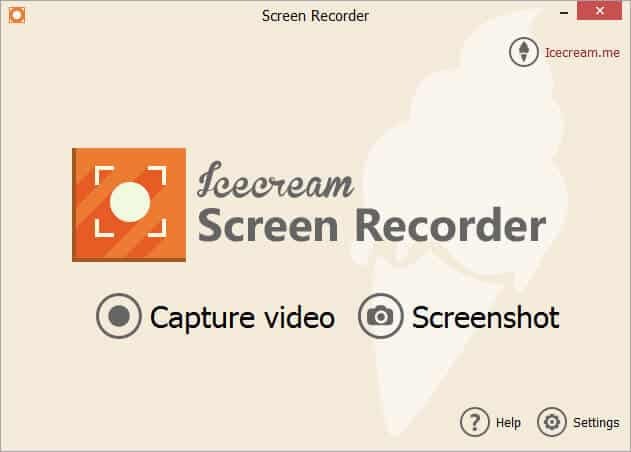 Icecream Screen Recorder is developed by Icecream apps and will help you in recording the content which is displayed on your computer screen. The software is compatible with all the versions of Windows operating system no matter which version of Windows are you using. 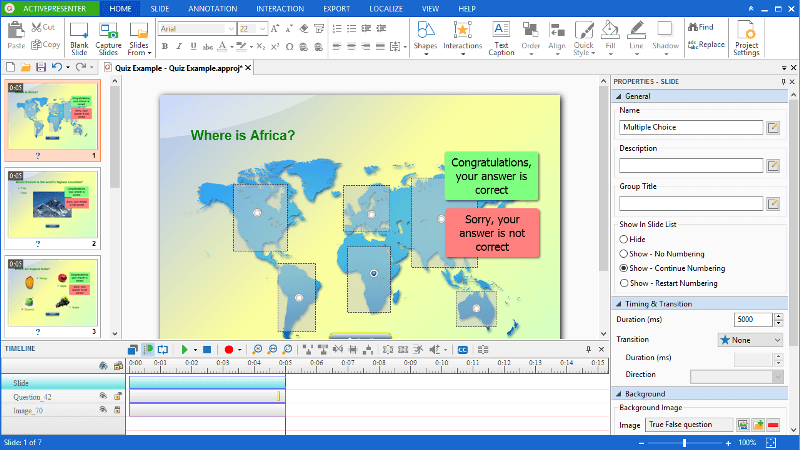 ActivePresenter is used by a lot of professionals. This screen recording software for windows is ideal for people who want to record video tutorials. The screen recorder software will not only record the videos but will also take screenshots which will make the tutorials process much simpler. Using ActivePresenter you can add annotations, callouts use the voiceover feature and much more. The software suports following video formats: AVI, WMV, MPEG4/MP4, FLV), HTML, interactive Flash and HTML5 simulation, or other document formats (PDF, DOCX, PPTX, XLSX). Camstudio is one of the best screen recording software for Windows PC. This software has been into the business from a long time. There are not a lot of features offered by Camstudio which you get in other software’s but the interface of this app is really very user-friendly and that’s why this software is loved by a lot of people. If you don’t want to display the cursor while recording videos then you can hide it easily. There is also an option to add sounds to your video from multiple sources. EZVID is a free screen recording software which will record your videos and will upload them instantly on Youtube. If you are a Youtube vlogger then EZVID is the perfect screen recorder software for you. One of the best things about EZVID free screen recorder is that there is no requirement of an external video editor. You can use the inbuilt editor to perform final touch up of your recorded videos. The software is compatible with Windows operating system and supports all the versions of Windows operating system. Jing is another best computer screen recording software which helps you to record the videos, edit and share them right away. Jing has user-friendly interface and comes with handy features which makes it extremely easy for one to use the software. Jing screen recording software free download can be obtained by visiting its official website. Download and install it on your PC and enjoy high-quality video recordings. We all know, open source applications are the best applications. Webniaria is also an open source application which is the blend of recording and capture of videos/screenshots. The computer screen recording software will not only help you in recording videos in MP4 format but will also allow you to record flash videos. The voice commentary feature can be used for adding your sound. 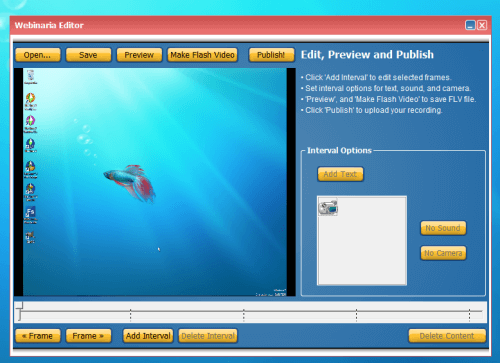 With the help of this free screen recorder software, you can easily record the software demonstrations and tutorials, publish them in Flash, view on our website or yours, receive ratings, comments and share with others. If you are looking for an easy to use screen recording software for Windows operating system you need to try Rylstim Screen Recorder. The software will record pretty much anything which is happening on your screen. Simply, you have to visit the official website for screen recording software free download and install it. Select the codec which you want to use along with bit race and you are done. In simple words, Rylstim Screen Recorder is really a very light software for instant recording of events happening on the computer screen and saving that to an AVI file at high quality. Last but not the least is Screenr. Screenr is a web-based tool which means you don’t have to download it. In order to use this software, Java should be installed on your system. The software consumes very fewer resources and also delivers optimal performance. According to the public review, Screenr is really the best option for creating screencasts fast and getting them posted immediately. In order to record videos or whatever is happening on your computer screen, you don’t have to buy any premium screen recording software for Windows as these free screen recorder software comes with some very exclusive and enough options. The inbuilt editors will help you in editing the videos and sharing features will make it easier for you to share content. In our opinion, these computer screen recording software’s will deliver a great experience and will also save a lot of your money. As there are a lot of free software’s which you can use for video editing and recording videos from your computer screen, there is a probability that we missed the one which you are using. You can use the comments section below to inform us about the free screen recording software for Windows which we missed explaining.